The cause of the fire, which also injured a firefighter, is under investigation by the police arson/bomb squad and the fire marshal's office, officials said. 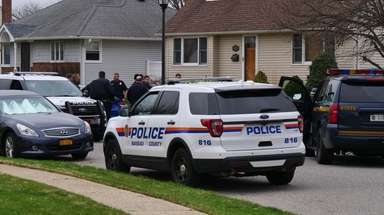 A 66-year-old man was found dead of a self-inflicted gunshot wound after a house fire in North Massapequa early Tuesday that injured a firefighter who fell through the second floor, police and fire officials said. 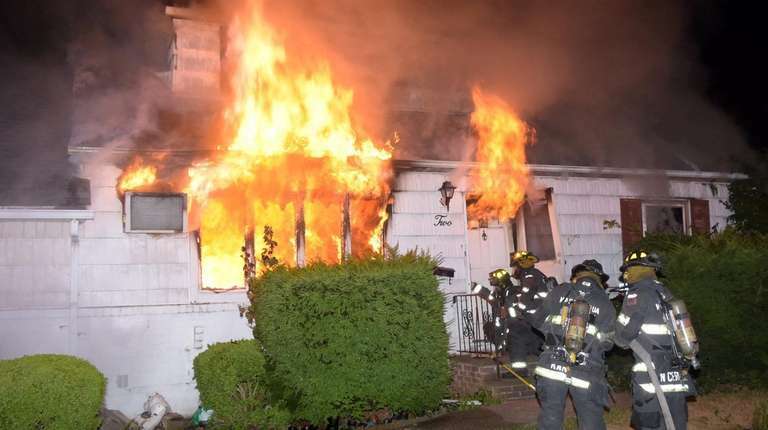 The cause of the 4:38 a.m. fire on a street called The Link, a single-family home near Winding Road, is under investigation by the county fire marshal's office and the Nassau police arson/bomb squad, said Assistant Chief Fire Marshal Michael Uttaro. The fire started in the front of the home, police said. "Right now the cause of the fire is undetermined," Uttaro said. The identity of the victim, whose body was found in a garage with a fatal gunshot wound, was not released by police. No one else was in the house at the time of the fire, Uttaro said. The North Massapequa Fire Department was the first to arrive on the scene and was later assisted by personnel from the Seaford, Massapequa, Bethpage, South Farmingdale, Wantagh, Levittown, North Bellmore, Farmingdale, Bellmore and East Meadow fire departments, police said. In total, more 60 firefighters responded to the scene. A North Massapequa firefighter was injured when she fell through the second floor to the first, Uttaro said. She was treated at Nassau University Medical Center in East Meadow for injuries that were not considered life-threatening and later released, officials said. Two other North Massapequa firefighters suffered minor injuries and declined treatment at the scene. The fire was extinguished in about an hour, Uttaro said.